A European species, sometimes cultivated and rarely escaped to disturbed ground and along roadsides. First collected in 1899 in Kent Co. The leaves are quite rugose. 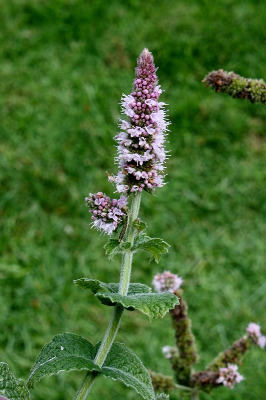 Long known as Mentha rotundifolia (L.) Huds., a name that applies to the diploid hybrid M. longifolia × M. suaveolens. MICHIGAN FLORA ONLINE. A. A. Reznicek, E. G. Voss, & B. S. Walters. February 2011. University of Michigan. Web. 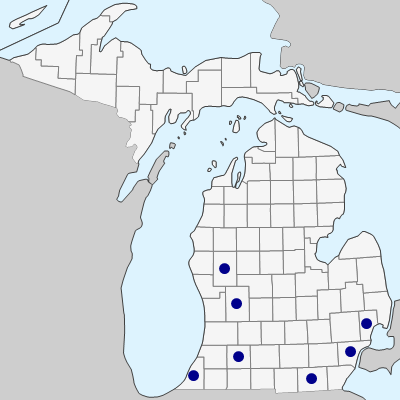 April 24, 2019. https://michiganflora.net/species.aspx?id=1569.